Accessing computers and files on your home or business network from a remote location is a popular feature of Windows Home Server. To enable remote access, you need to configure your router to open certain ports so network traffic will flow properly. If your router is not listed, use the General Directions. You should verify any settings in this document to ensure your router is properly directing and filtering Internet traffic as desired. The following is a diagram of a typical home or small business network. An Internet connection: provided by your Internet Service Provider (ISP). An Internet connection device: usually a cable or DSL modem provided by your ISP. Some ISPs provide a device that combines a modem with a broadband router. 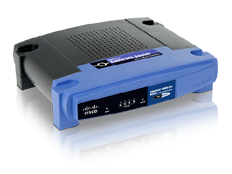 A broadband router: a device that routes network traffic from your local network to the Internet. Small business routers usually provide firewall services requiring port configuration. Some routers support UPnP to simplify configuration. The router may also function as a wireless access point. Client computers: connect to each other through a switch (sometimes part of the router) and to the Internet through the broadband router. Multiple switches may be used if you connect more than a few desktop and notebook computers. A home or small business server: provides file sharing and remote access. Setting up a network means configuring settings on a variety of devices. Some familiarity with networking is recommended. If the terms ping, static IP address, DHCP, firewall ports, and UPnP are a foreign language for you, consider having a friend or consultant help you set up your network. Before setting up your router, you need to set up your network. There are three steps for you to complete. The first step in configuring your network is to determine the IP addresses of your Windows Home Server and your router (gateway). Log on to your Windows Home Server. Physical address: the MAC address of the network adapter. This number is useful when you need to reserve the dynamic IP address of the Windows Home Server. You may use the MAC address in the Third Step. DHCP enabled: Yes = this network adapter is receiving an IP address dynamically from the router (or other DHCP server). No = this network adapter has a static IP address entered manually. 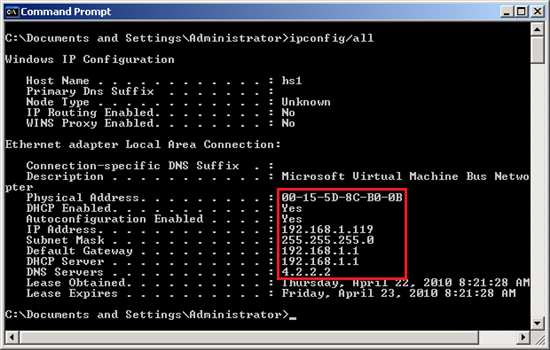 IP address: the IP address of the Windows Home Server. Default gateway: the IP address of the router. DNS servers: the IP address of the DNS server. Typically provided by your ISP. Next, determine if your Windows Home Server and router can communicate. Type: ping 192.168.1.1, and press Enter. Substitute the address of your router for 192.168.1.1. If you are not able to determine your IP addresses, or if you are not able to determine or correct network communication issues, now’s the time to find a friend or consultant to assist you. The final step in configuring your network is to verify that your Windows Home Server has a static IP address. Typical home routers have DHCP enabled. Your home server receives its IP address from the router and, because it is a dynamic IP address, the home server IP address can change. A changing IP address will break router firewall settings you set up as directed later in this article. A static IP address for your home server will ensure that firewall settings will continue to work and network traffic will continue to reach your home server. There are two ways to set a static IP address for your home server. In some routers, using the MAC address determined in the First Step, you can reserve the IP address of Windows Home Server. See your router documentation to see if this method is supported and for instructions. Once you have determined IP addresses, verified communication, and set Windows Home Server to a static IP address, you are ready to configure your router to allow remote access. Many broadband routers designed for home use support Universal Plug and Play (UPnP) – a standard that simplifies router setup. Check your product documentation for UPnP support. If UPnP is supported, Windows Home Server may be able to automatically configure your broadband router. If your router supports UPnP, check to see if UPnP is enabled. Open your Web browser, and then connect to the configuration Web page for your router. Usually the Web page is the IP address of your router which you determined in the above steps. If necessary, type the user name and password to log on to the configuration Web page. Some routers include a default user name, password, and IP address on the underside of the router. For more information, see the documentation for your router. Go to the UPnP setting page on your router and verify that UPnP is enabled. Save the configuration on your router, and then close the browser. If your router needs to restart, wait until it restarts completely before you proceed. On the Windows Home Server Remote Access Settings page, click Repair. The configuration tests run again. HTTP is the protocol that your Web browser uses to view Web pages. You use this protocol to view your default Web page for Windows Home Server. HTTPS is the protocol that secures communication from a Web browser to your server. 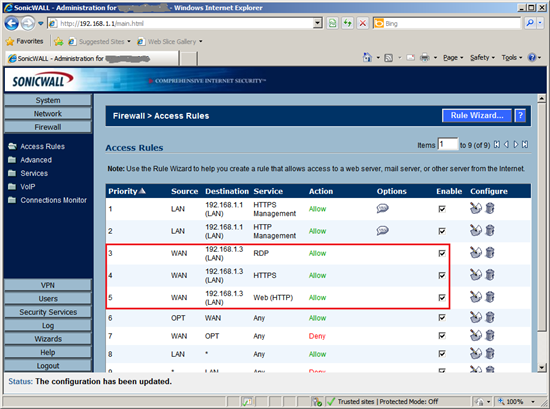 You use this protocol to view your Remote Access Web page for Windows Home Server. Remote Desktop Protocol is the service that is used to connect to your home computers via the Remote Access Computers tab. Open your Web browser, and then connect to the configuration Web page for your router. Usually the Web page is at the IP address of your router. If necessary, type your user name and password to log on to the configuration Web page. Some routers include a default user name, password, and IP address on the underside of the router. For more information, see the documentation for your router. Disable UPnP on your router. 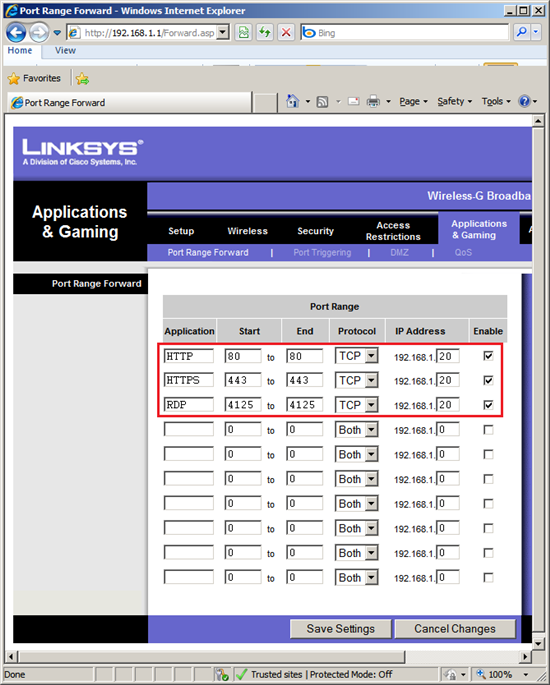 Find the port forwarding configuration page on your router. For more information, see the documentation for your router. Type the necessary information to forward TCP port 80, TCP port 443, and TCP port 4125 to the IP address of your home server. The IP address of your home server appears on the Remote Access Settings page. Save the port-forwarding configuration on your router, and then close the browser. If your router needs to restart, wait until it restarts completely before you proceed. On the Remote Access Settings page, click Repair. The configuration tests run again. Follow the first two steps in the General Directions to verify your network is properly configured. Then, configure your home server with a static IP address. The Linksys BEFSR41 broadband router supports UPnP – a standard that simplifies router setup. If you enable UPnP in the Linksys BEFSR41, Windows Home Server may be able to automatically configure your remote access settings. 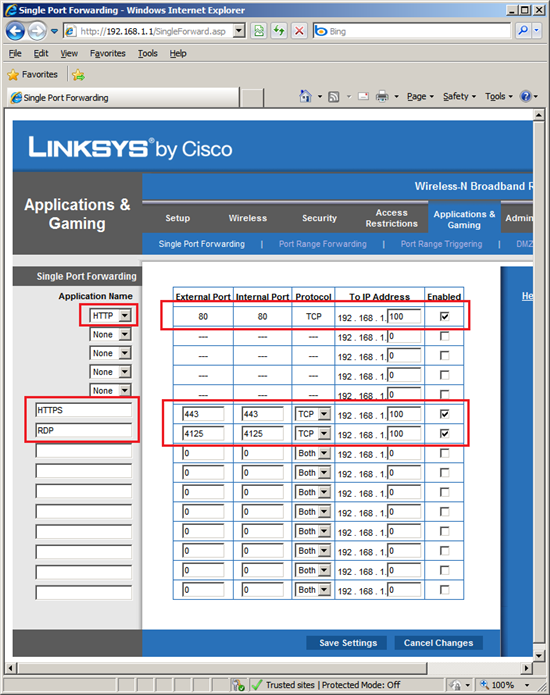 Open the Web browser on your computer and enter the address for the Linksys router in the address field. The default IP address is 192.168.1.1. 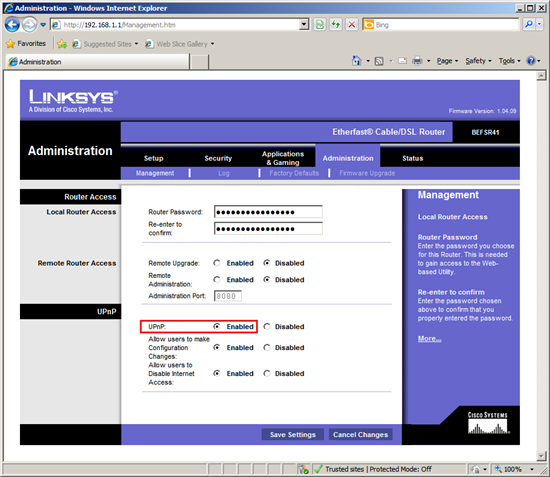 At the login screen, leave the User Name field blank and enter the router password. The default password is admin. Click the Administration tab, the Management page should be selected. If not, click the Management tab. For UPnP, click Enabled, and then click Save Settings. With UPnP enabled, open the Windows Home Server Console, click Settings, click Remote Access, and then click Repair. Windows Home Server will attempt to automatically configure the Linksys router to forward Web site requests to your home server. HTTPS is the protocol that your Web browser uses to view secure Web pages. You use this protocol to view your Remote Access Web page for Windows Home Server. Find the screen with UPnP settings and disable UPnP. 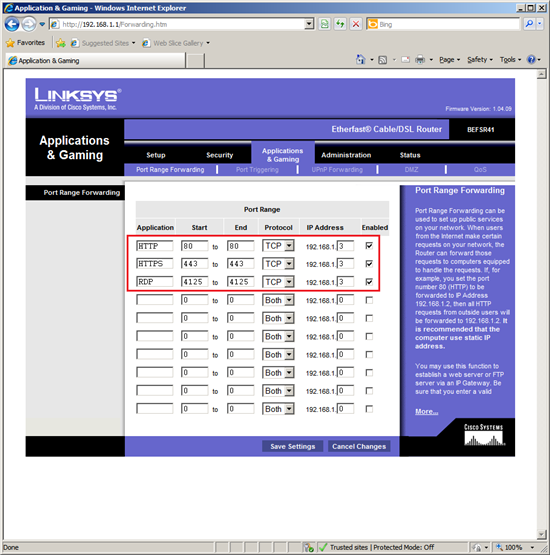 Click the Applications and Gaming tab, the Port Range Forwarding page should be selected. If not, click the Port Range Forwarding tab. Enter the settings as in the screenshot below. The IP address should be the IP address of your home server. Click Save Settings, and then close the Web browser. With port forwarding manually configured, open the Windows Home Server Console, click Settings, click Remote Access, and then click Repair. Windows Home Server will run the configuration test to verify network settings. There are two ways to set a static IP address for your home server: reserve an IP address on the Netgear RP614 router, or set the IP address of the home server to be a static IP address. Open the Web browser on your computer and enter the address for the Netgear router in the address field. The default IP address is 192.168.1.1. At the login screen, enter the user name and password. The default user name is admin. The default password is password. Under Advanced, click LAN IP Setup. Under Address Reservation, click Add. Follow the directions in the Help section. Use the MAC address from the First Step. The Netgear RP614v4 broadband router supports UPnP – a standard that simplifies router setup. If you enable UPnP in the Netgear RP614v4, Windows Home Server may be able to automatically configure your remote access settings. Click Turn UPnP On, and then click Apply. Configure Windows Home Server settings. Open the Windows Home Server Console, click Settings, click Remote Access, and then click Repair. Windows Home Server will attempt to automatically configure the Netgear router to forward Web site requests to your home server. 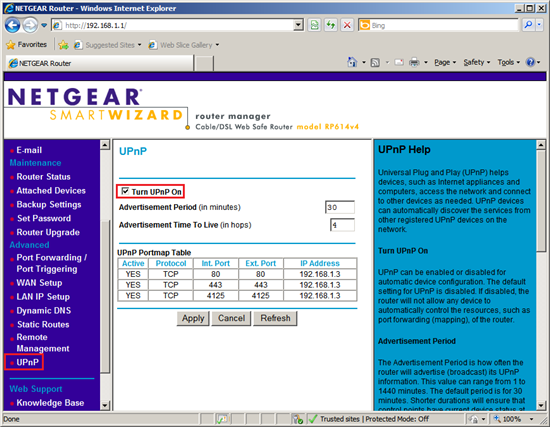 Come back to the Netgear UPnP page, and then click Refresh. If UPnP was successfully configured you should see the three ports opened in the screenshot below. 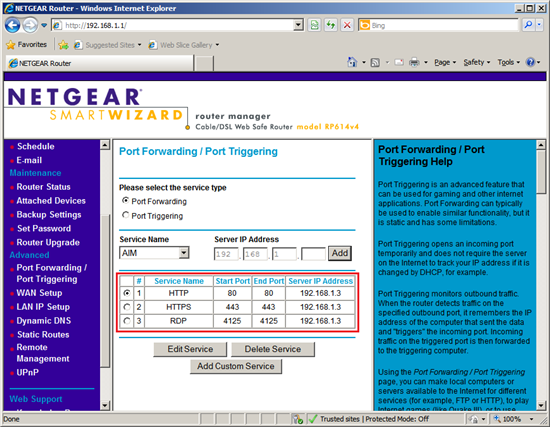 Under Advanced, click Port Forwarding / Port Triggering. Under Service Name, click HTTP, enter the server IP address, and then click Add. There are two ways to set a static IP address for your home server: reserve an IP address on the Sonicwall TZ170 router, or set the IP address of the home server to be a static IP address. 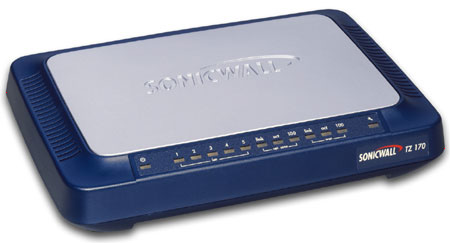 Open the Web browser on your computer and enter the address for the Sonicwall router in the address field. The default IP address is 192.168.1.1. 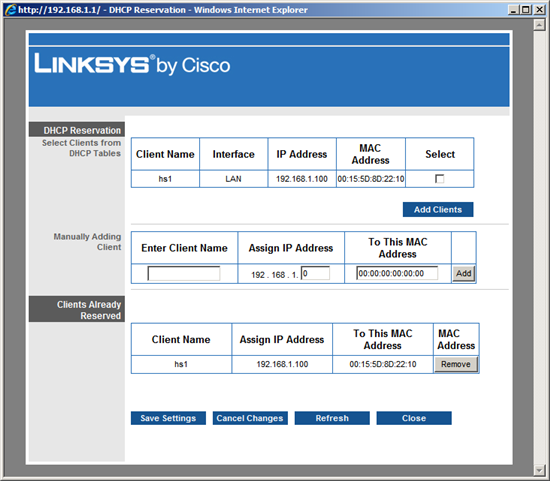 Click Network, and then click DHCP Server. Verify that Enable DHCP Server is checked. Under Current DHCP Leases, you should see the home server in the list. Under DHCP Server Lease Scopes, click Add Static. Ensure DHCP Lease time set to 1440 minutes. Entry Name: type text to identify your home server. 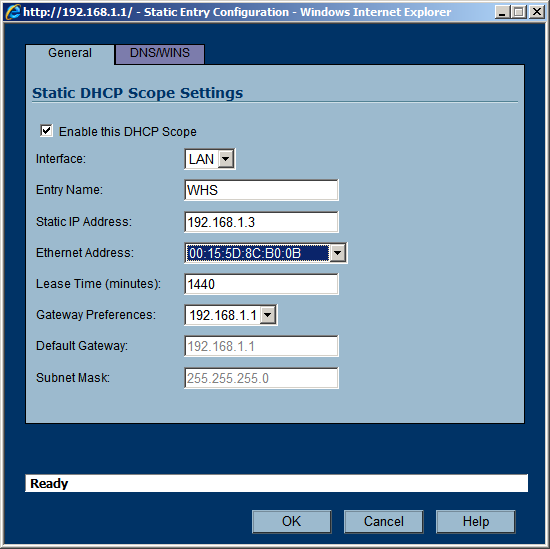 Static IP Address: type an IP address not in the DHCP scope. This will be the IP address of your home server. Ethernet Address: select the MAC address of the network adapter of your home server. See the First Step. 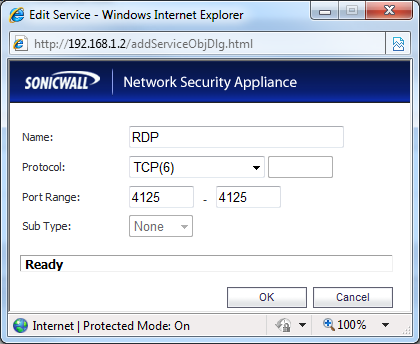 The Sonicwall TZ170 broadband router does not support UPnP. 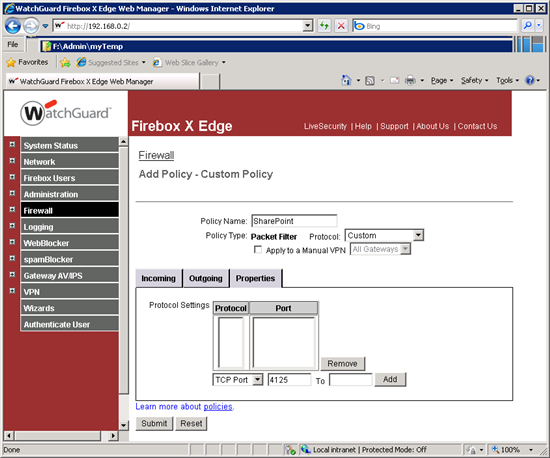 Click Firewall, and then click Services. Under Custom Services, click Add. Under Firewall, click Access Rules. There are two ways to set a static IP address for your home server: reserve an IP address on the Sonicwall TZ100 router, or set the IP address of the home server to be a static IP address. 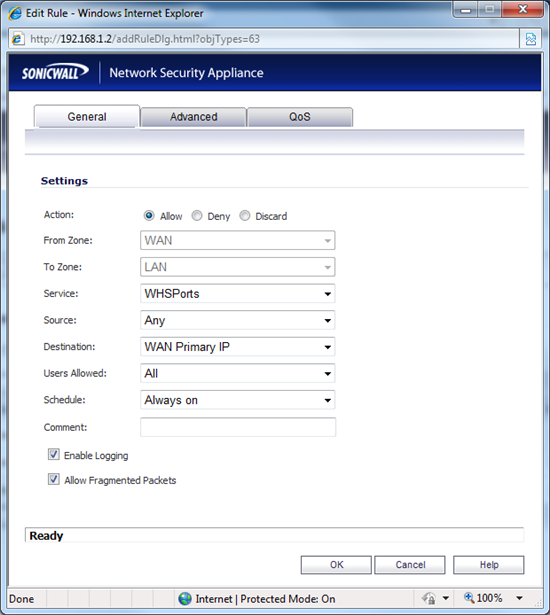 Open the Web browser on your computer and enter the address for the Sonicwall router in the address field. The default IP address is 192.168.168.168. Click OK, and then click Accept. 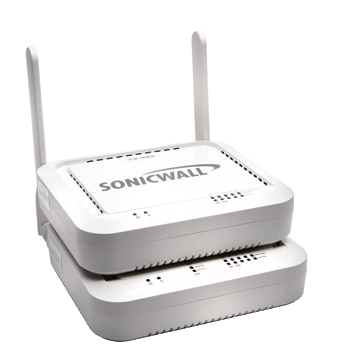 The Sonicwall TZ100 broadband router does not support UPnP. Under Service Groups, View Style, click Custom Services. Under Service Groups, click Add Group. Under Access Rules, View Style, click Drop-down Boxes. There are two ways to set a static IP address for your home server: reserve an IP address on the D-Link DIR-825 router, or set the IP address of the home server to be a static IP address. 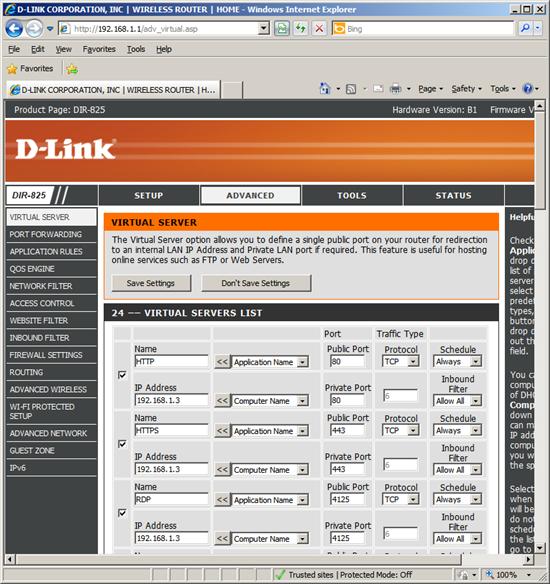 Open the Web browser on your computer and enter the address for the D-Link router in the address field. The default IP address is 192.168.0.1. At the login screen, enter the user name and password. The default user name is admin. The default password is blank. On the left menu, click Network Settings. 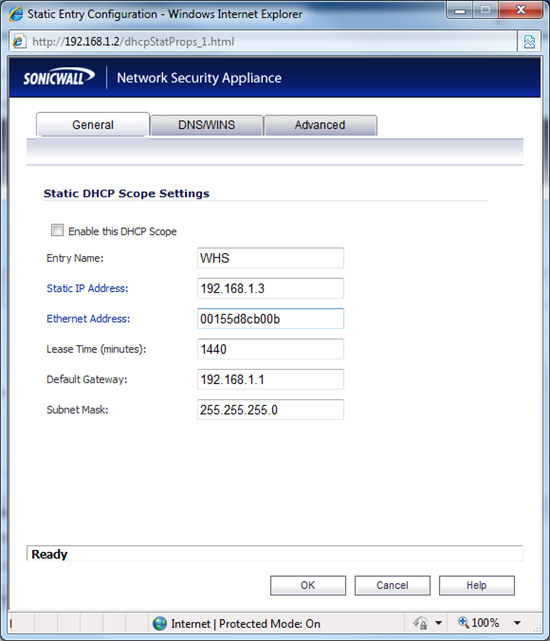 Under DHCP Server Settings, verify Enable DHCP Server is checked. Computer Name: type text to identify your home server. 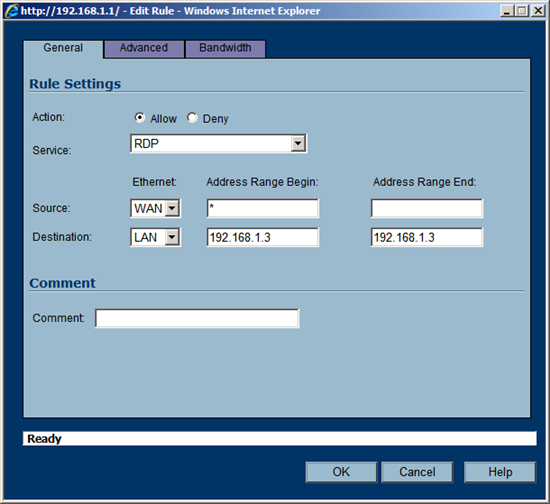 IP Address: type an IP address in the DHCP IP Address Range (see DHCP Server Settings). This will be the IP address of your home server. 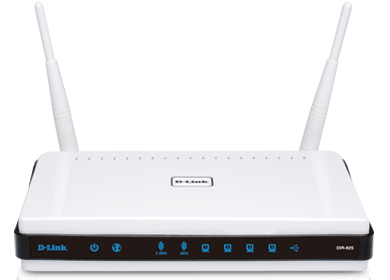 The D-Link DIR-825 broadband router supports UPnP. However, initial tests using UPnP to configure the router were not successful. You should use manual configuration. On the left menu, click VIRTUAL SERVER. Click the first Application Name list box and select HTTP. Click the left double arrow to place HTTP in the Name box. In the first IP Address box, enter the IP address of your home server. Click the second Application Name list box and select HTTPS. Click the left double arrow to place HTTPS in the Name box. In the second IP Address box, enter the IP address of your home server. In the third IP Address box, enter the IP address of your home server. Click Continue when the settings are saved and close the Web browser. 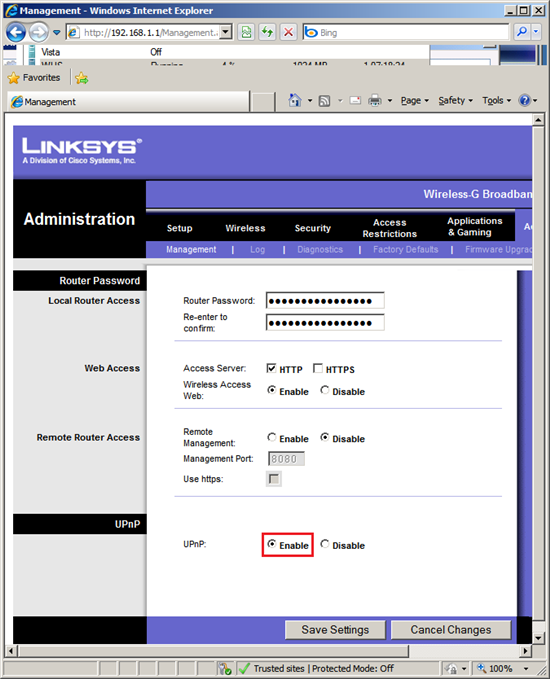 There are two ways to set a static IP address for your home server: reserve an IP address on the Linksys WRT160N router, or set the IP address of the home server to be a static IP address. At the login screen, enter the user name and password. The default user name is blank. The default password is admin. Click the Setup tab. You should be on the Basic Setup page. 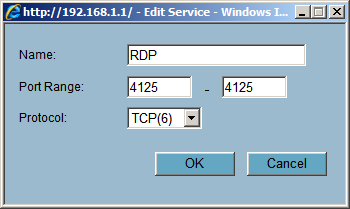 In DHCP Server Setting, verify DHCP Server is enabled. In Select Clients from DHCP Tables, you should see your home server listed. Click the Select box to enable it. Click Add Clients, and the click Save Settings. 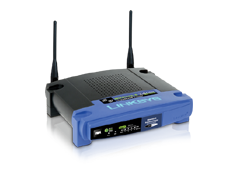 The Linksys WRT160N broadband router supports UPnP – a standard that simplifies router setup. 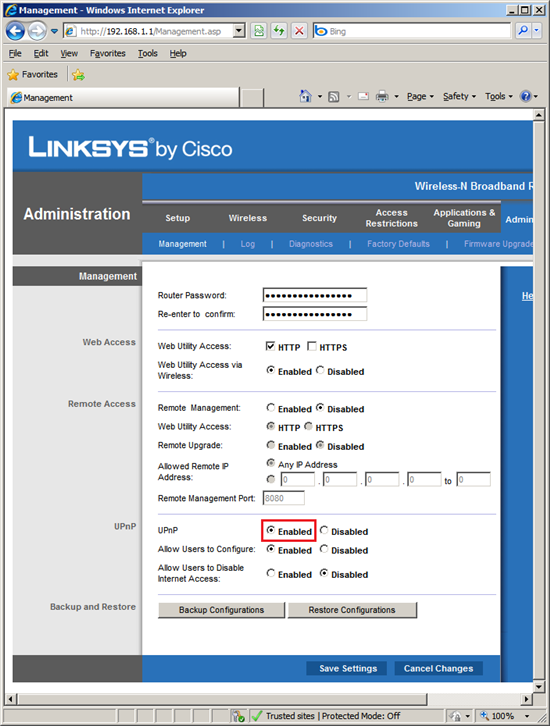 If you enable UPnP in the Linksys WRT160N , Windows Home Server may be able to automatically configure your remote access settings. Click the Applications and Gaming tab. The Single Port Forwarding page should be selected. If not, click the Single Port Forwarding tab. 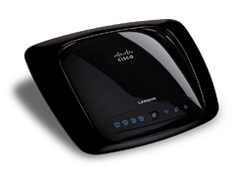 The Linksys WRT54GL broadband router supports UPnP – a standard that simplifies router setup. If you enable UPnP in the Linksys WRT54GL, Windows Home Server may be able to automatically configure your remote access settings. There are two ways to set a static IP address for your home server: reserve an IP address on the Firebox X20e router, or set the IP address of the home server to be a static IP address. 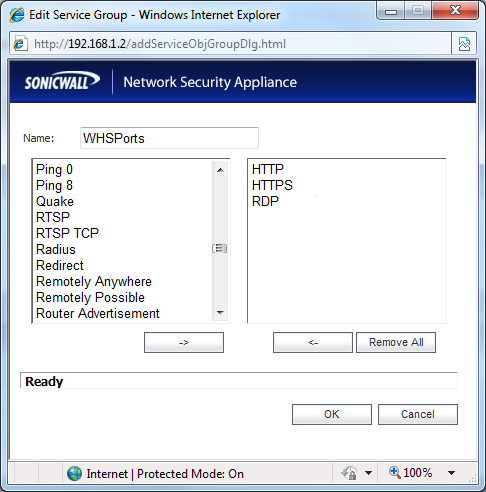 Open the Web browser on your computer and enter the address for the Sonicwall router in the address field. The default IP address is 192.168.111.1. At the login screen, enter the user name and password. The default user name is admin. The default password is admin. Click Network, and then click Trusted Network. Verify that Enable DHCP Server on Trusted Network is checked. IP Address: type the IP address of your home server. MAC Address: type the MAC address of the network adapter of your home server. See the First Step. The Firebox X20e broadband router does not support UPnP. 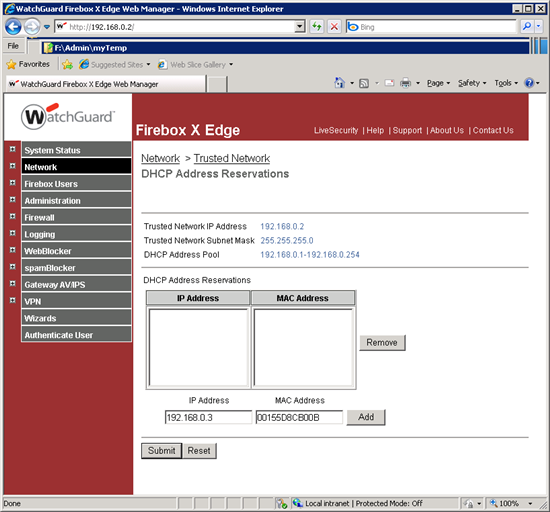 Open the Web browser on your computer and enter the address for the Firebox router in the address field. The default IP address is 192.168.111.1. Click Firewall, and then click Configure Incoming. 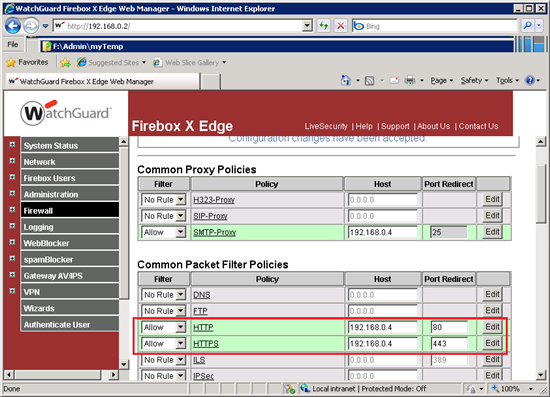 Under Custom Packet Filter Policies, click Add Packet Filter Policy. Click Add, and then click Submit.